As mentioned on my “Why Stealth GTI?” page, I prefer to keep a sedate appearance with my cars. Doing so avoids unwanted attention from thieves, vandals, police, and boy-racers. I was certain that I’d be quite content with a base “S,” especially after fitting it with my 16-inch VW Mambo alloys. 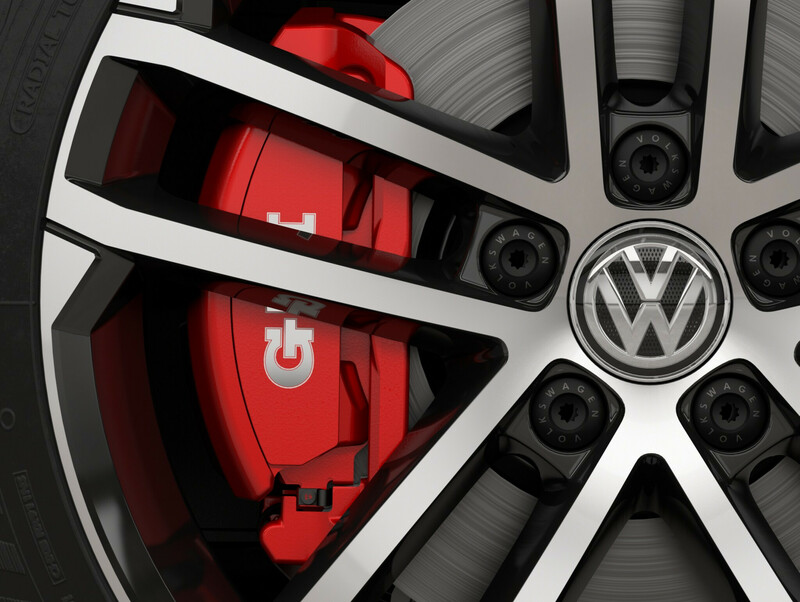 It would have looked like an OEM+ Golf, but performed like a GTI. However, I found myself attracted to the extra features of the “Sport” trim (available only in 2017). The Sport is essentially an “S” with what VW once offered separately as a “Lighting Package” and a “Performance Package.” These packages are now just rolled into the trim levels above “S.” In short, the Sport adds the Lighting Package, which consists of Bi-Xenon high-intensity headlights with LED Daytime Running Lights and Adaptive Frontlight System; the Performance Package, which consists of the “VAQ” electronic locking differential, larger brakes, +10 horsepower; and other small touches which include keyless access w/pushbutton start, unique 18-inch wheels, and gloss black mirror caps. Buying these items from the factory for $2500 was much less expensive than fitting even a few of these features later. I think this is the best write-up I’ve seen about the Sport. 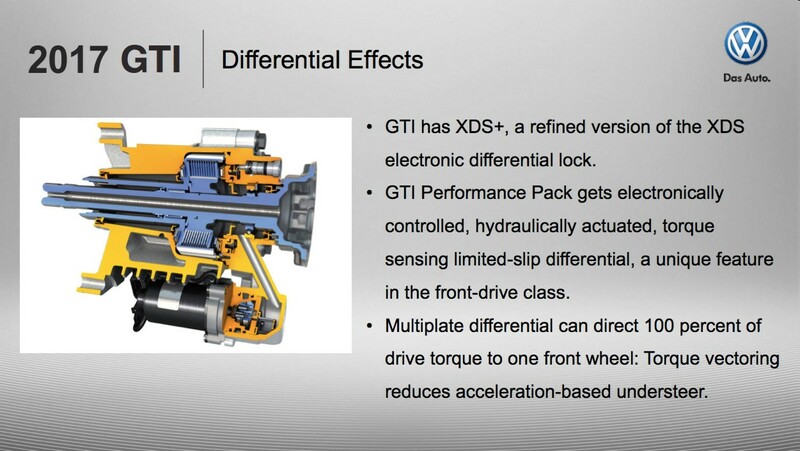 For me, the limited-slip differential was the most attractive item. I added a Peloquin torque-biasing differential to my Mk3 many years ago. The difference was substantial. Getting stuck in snow or on ice became a thing of the past; brisk accelerations on wet roads was vastly improved, too. In a car-nut kind of way, adding the VAQ differential is actually a very practical choice! HAHA! Keyless access w/pushbutton start was my next attraction. Sure, the old fart in me thinks “it’s just something else that’ll break.” But I’ve had ignition switch problems on three of my VW’s in the past, including a Mk6 that was only a year old when the switch started to feel finicky. I concluded that eliminating this point of mechanical failure may be a good thing. It’s been very convenient, too! Of course, most enthusiasts are probably wondering why I didn’t list the “Lighting Package” as my top choice. Honestly, the Bi-Xenon lights were more of an “okay, I’ll take those, too” sort of thing for me. I had driven old cars for a long time, so today’s halogens are a huge improvement over my previous cars. The Bi-Xenons have certainly been a fantastic feature, but the cost of replacing bulbs or the potential for mechanical failure will sit in the back of my mind. See? This old fart is thinking “it’s just something else that’ll break.” HAHA! Time will tell how these things hold up in the long run. Truth be told, I really do like them! 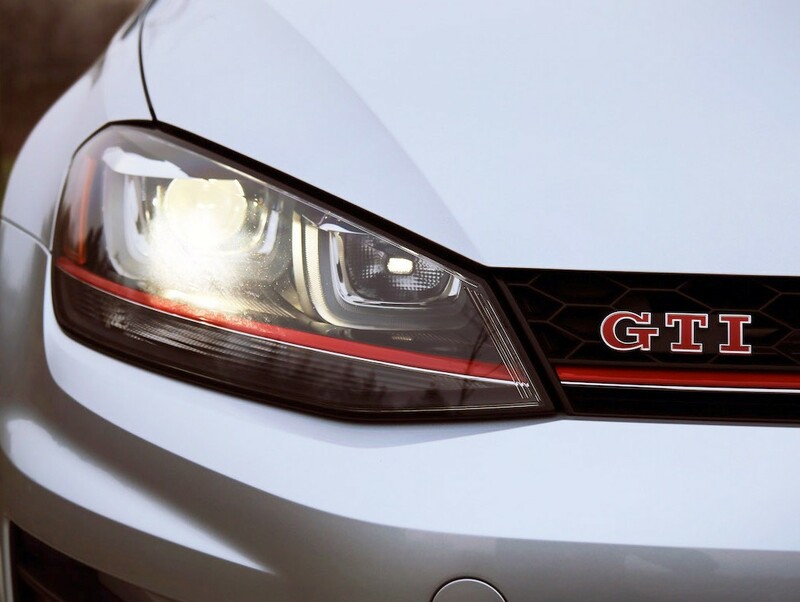 BTW, the GTI Sport is the only GTI to not feature LED foglights. The Bi-Xenons put A LOT of light right in front of the car; side lighting is excellent, too. This is amplified with the North American Region restriction removed. So I’m not missing the fog lights at all, especially since they’ve proven to be rock magnets on previous cars. So, for me, the Sport eliminates a future mechanical failure. The last few items are of little consequence to me: larger brakes, +10 horsepower, black mirror caps, and Nogaro wheels. Again, I’m accustomed to older cars. 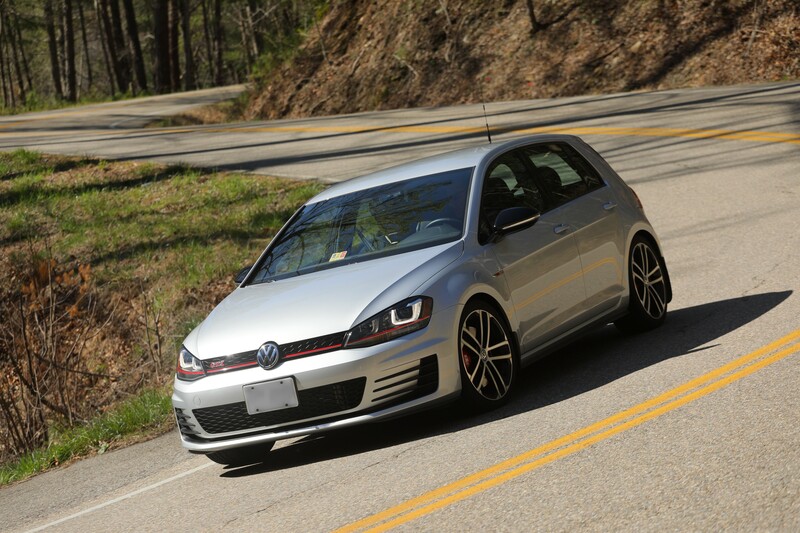 The 11.3-inch brakes on my Mk6 were a huge improvement over the 10.1-inch brakes on my Mk3. So I’m certain that the 12.3-inch brakes on the “S” would have been great. They also would have allowed me to use the 16-inch wheels that I like. The 13.4-inch Performance Package brakes are awesome; I just don’t think I’m going to put them to significant use unless I return to the autocross course. Since the lights, differential, and pushbutton start are easily worth the $2500 package alone, I’ll take the brakes as freebies. The +10 horsepower was barely perceivable. It’s moot now that I’ve reflashed the ECU. As for the black mirror caps, some dislike them; I’m indifferent. Ironically, some spend hundreds to swap to black, so I guess I’m stylistically ahead for free? I didn’t really care for the 18-inch Nogaro wheels at first, but they quickly grew on me. I get a lot of great comments about them, too. Best yet, they may become “rare” since they were only offered on the 2017-only Sport trim. I acquired a second set and had them refinished in Gunmetal Gray. I love them even more! See details here. One last feature that the Sport does not have that’s popular with enthusiasts: a sunroof. I’ve never really been a fan of sunroofs. Reading the numerous reports of leaking sunroofs and mechanical defects compels me to be glad that I don’t have one. 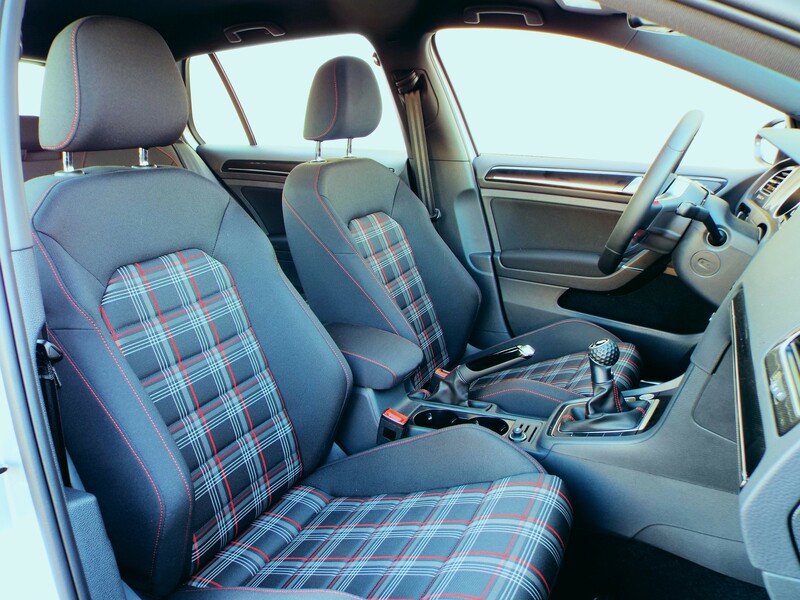 Oh, the Clark Plaid cloth seats are great! My passengers usually comment about them and think they’re a nice touch.